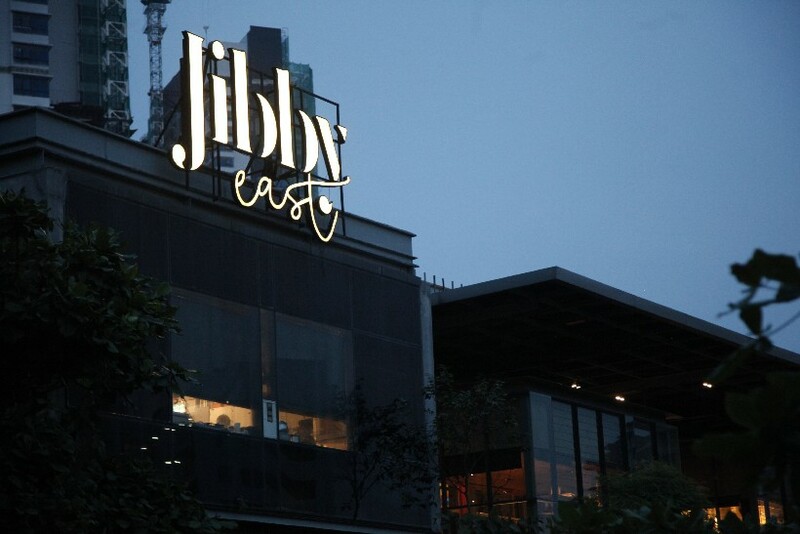 In KL East and within sight of the Klang Gates Quartz Ridge, the longest formation of its kind in the world, Jibby East is decidedly a bit beyond the radar of inner-city KL regulars. 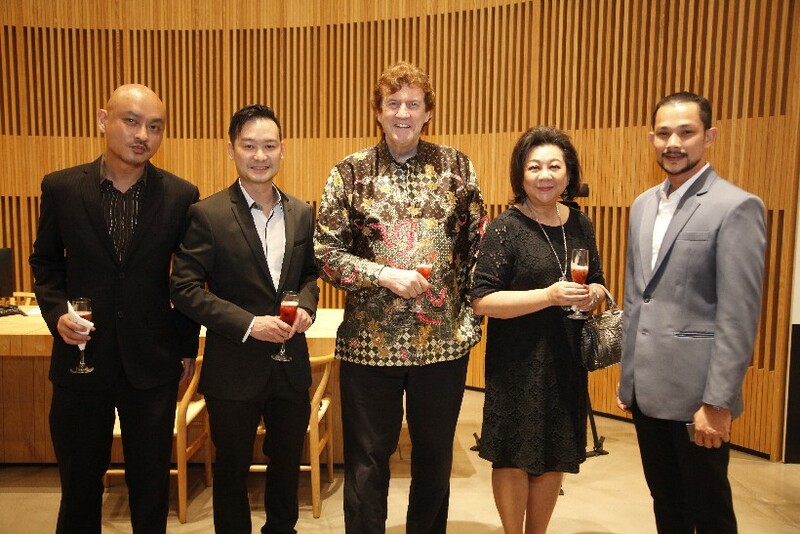 However, this only amounts to a lovely surprise when it’s discovered, and this revelation becomes all the more special when one takes in the striking atmosphere and the Modern Pan Asian and Western food that the establishment has to offer! Helmed by the Executive Chef and Director of the Serai Group Chef Najib Hamid, who incidentally lent his nickname to the restaurant, this Melbourne-inspired, Serai Group subsidiary has plenty going for it; Jibby East did nothing but amaze the guests who spent a few hours reviewing its Festival menu as the sun went down one fine day. 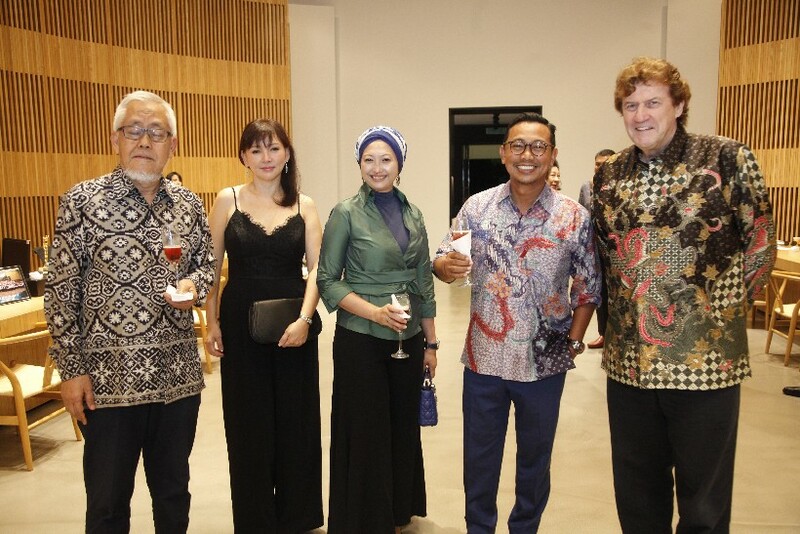 The Singapore High Commissioner to Malaysia H.E. Vanu Gopala Menon, Director of BHL Builder Sdn. Bhd. 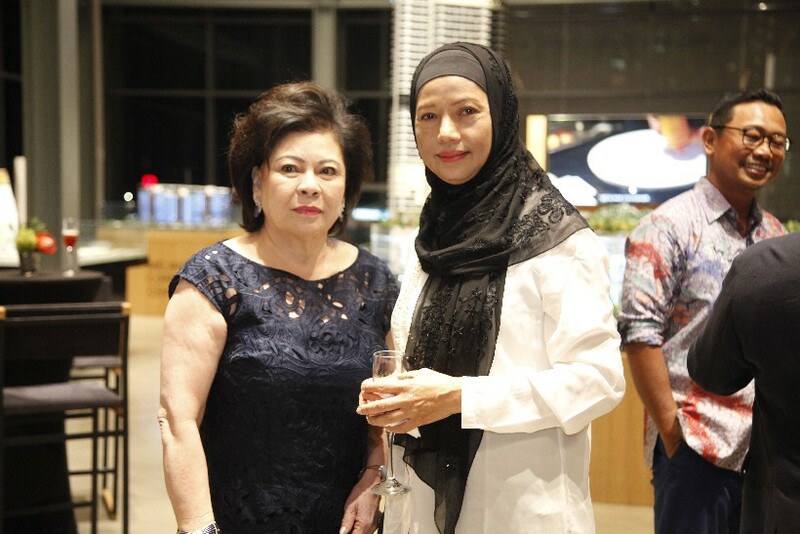 Tunku Dato’s Johanez Tunku Annuar, media personality Che Puan Sarimah Ibrahim, Chairman of Bloomberg TV Malaysia Tan Sri Mohd Effendi Norwawi, producer, actress and singer Puan Sri Tiara Jacquelina, and venerable TV chef Datuk Redzuawan Ismail a.k.a. 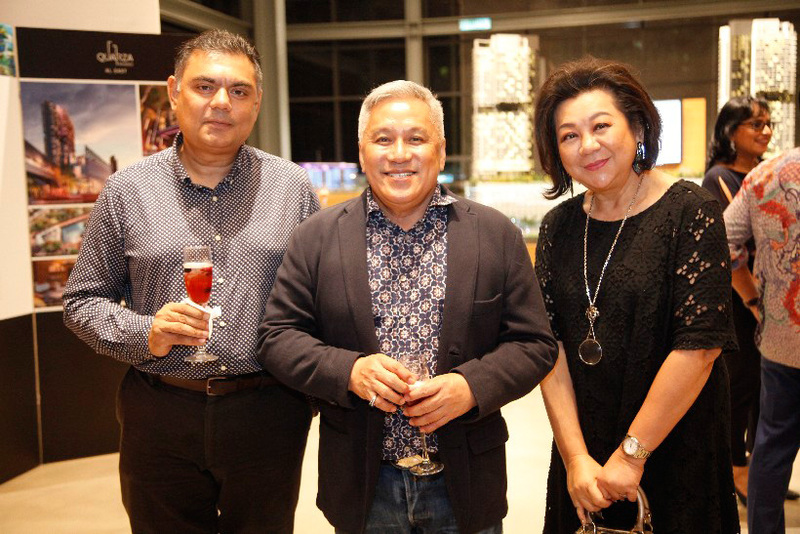 Chef Wan were among those who made up the dining group for the evening. Ushered in for pre-dinner canapés, cocktails and conversation, they mingled – old friends catching up with each other, new ones expanding their circles. 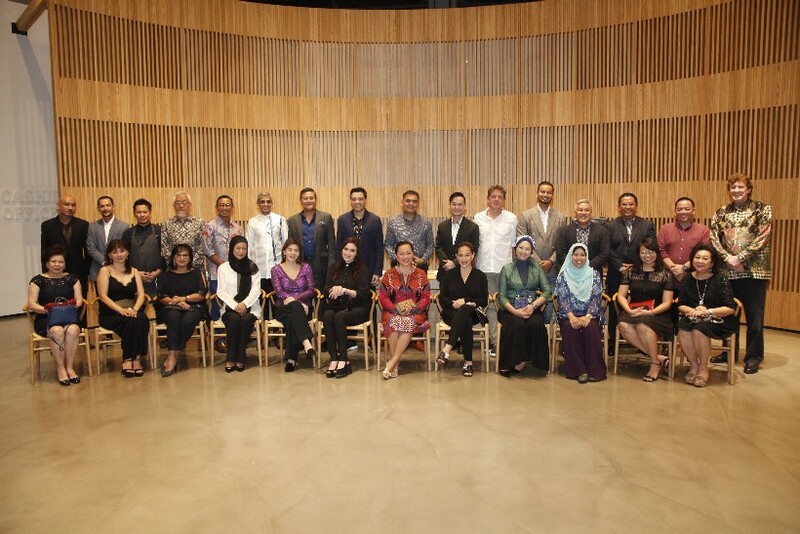 MIGF Organising Chairman Dato’ Steve Day then introduced Chef Najib to the ensemble, and gave him the ears in the room. 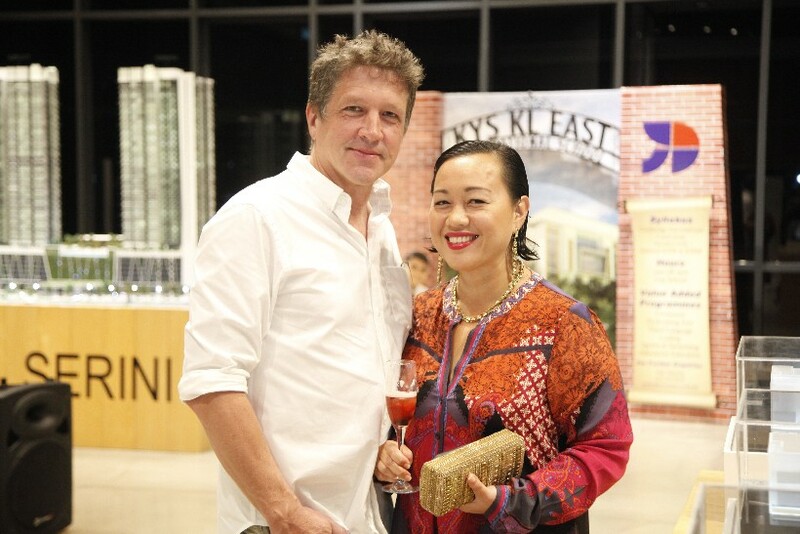 The modest chef thanked everyone for coming, and extended his hope that they would enjoy their time at Jibby East. 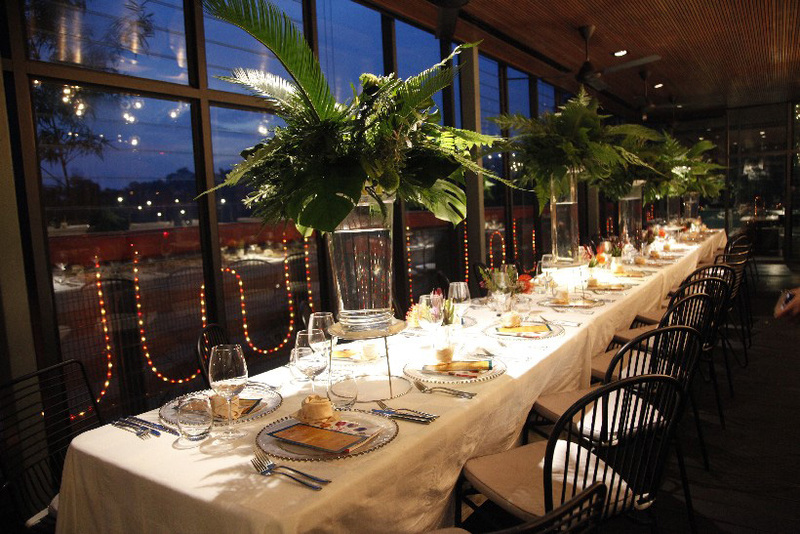 With that, the group moved to the dining table, looking forward to the dinner. 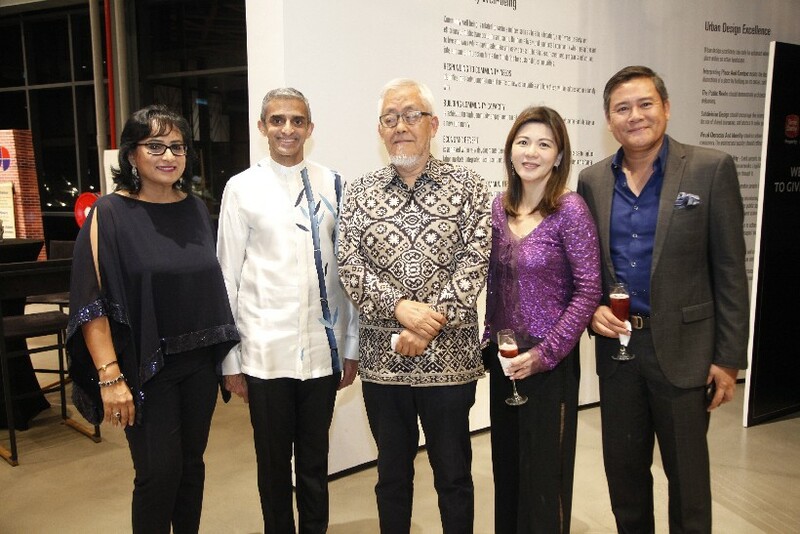 While waiting, the dialogue continued to flow, the topic infrequently straying far from Jibby East. 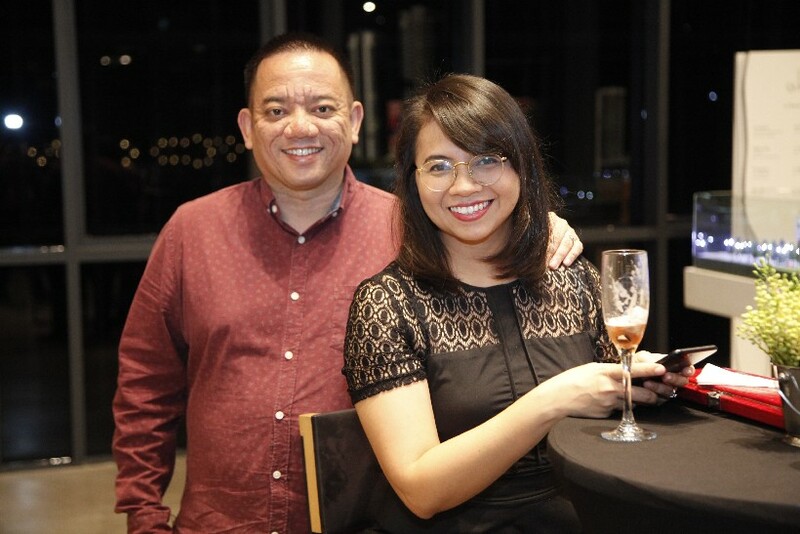 After all, from the preliminary taste of its food via the canapés earlier to the modern-yet-rustic ambience of the restaurant, there was much to talk about. 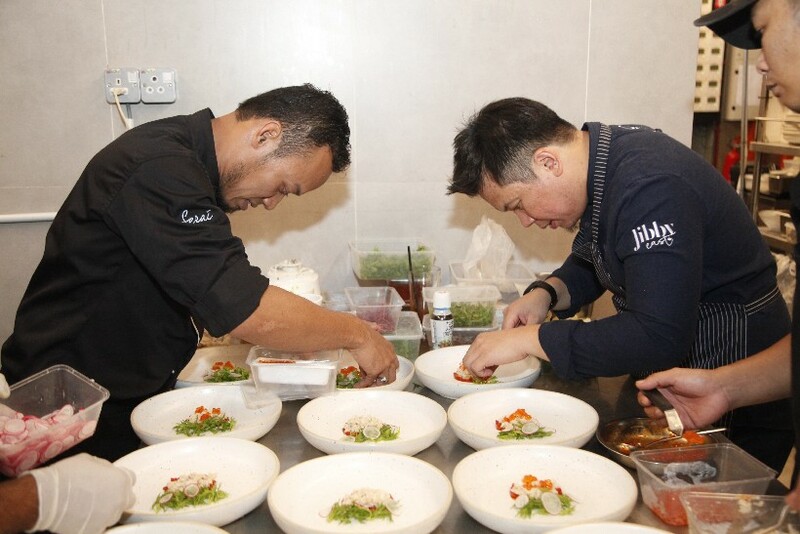 In the kitchen, Chef Najib, who oversees the kitchens across the Serai Group’s many restaurants, and Chef Aiman Yusof, who is the Jibby East chef, went down to business assembling the dishes. 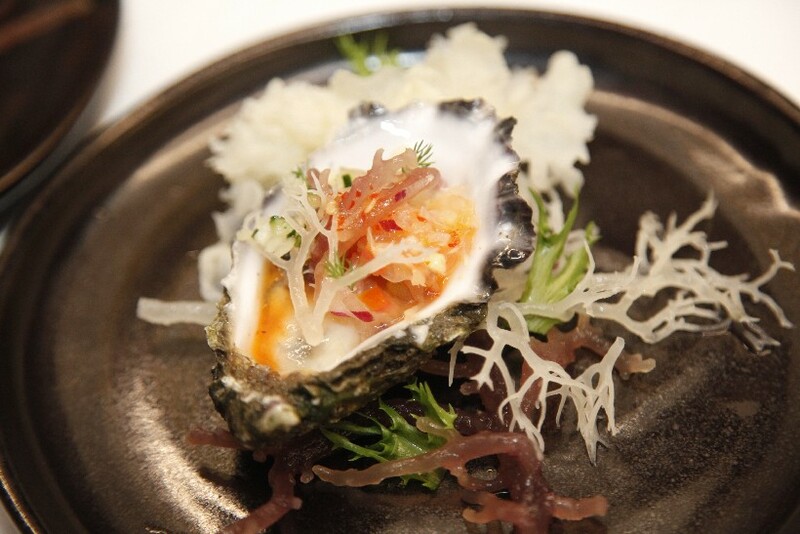 Specially made for the evening was an amuse bouche in the guise of Irish oyster on a bed of seaweed salad and chilli lime dressing, which sparked animated conversation at the table. 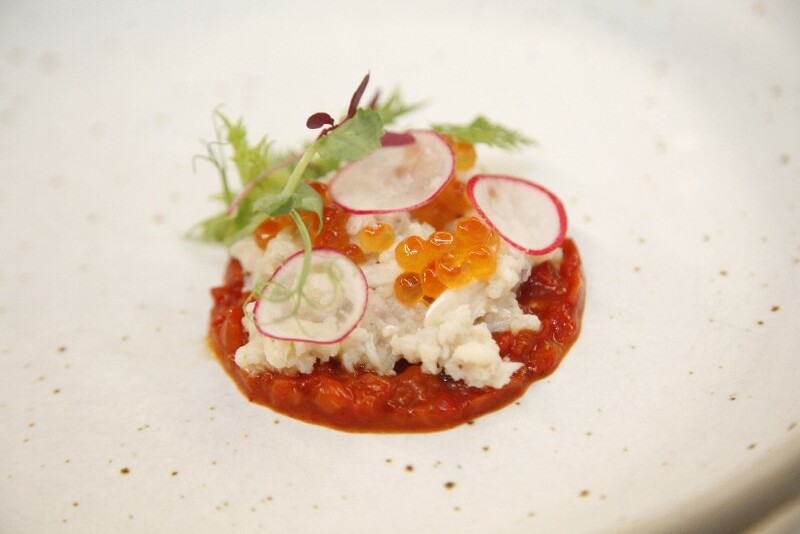 The first of the Festival menu courses then showed up, the marvellously presented Dungeon Crab Salad with Burnt Capsicum Coulis, Salmon Ikura, Chilli Prawn Crumble and Pea Tendrils. The guests admired it, loving the combination of flavours it provided. 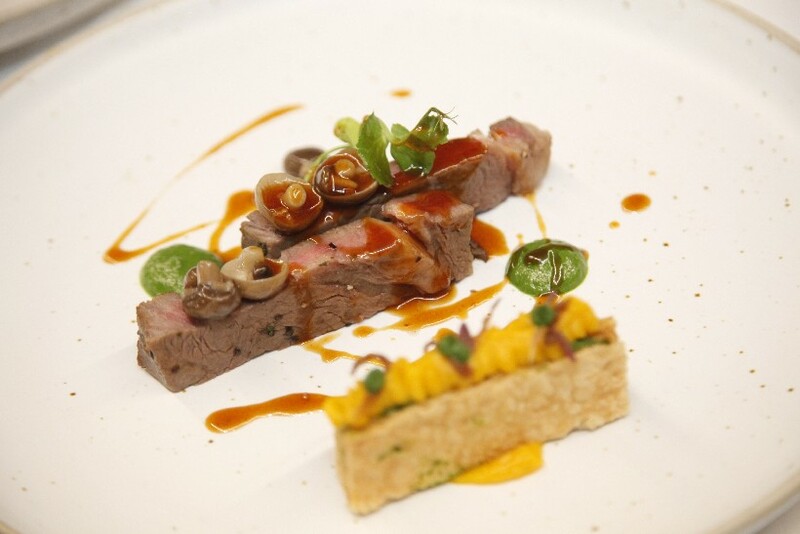 Up next was the main course, the gorgeous Sous Vide Ralph Grass Fed Sirloin with Mille Feuille Cream of Pumpkin, Spinach and Sautéed Shimeji, served with Chipotle Jam. This dish earned the chefs a flood of accolades, with many finding practically no defect to note on it. 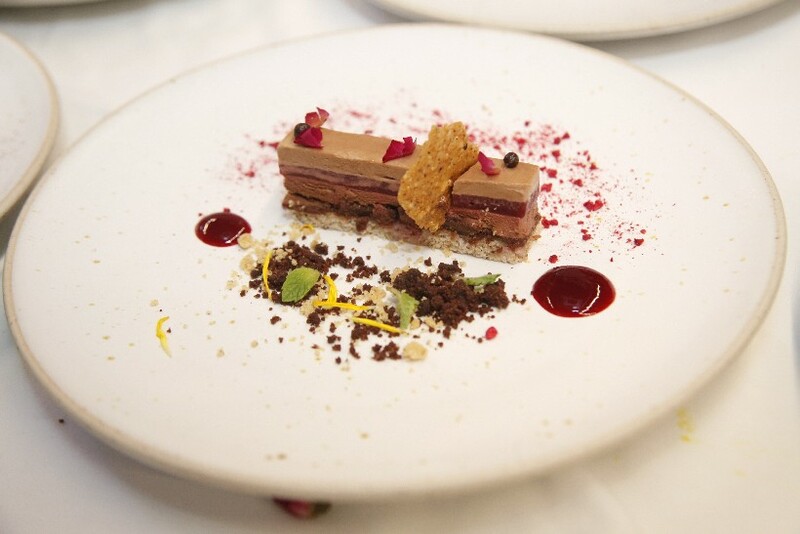 The final serving of the three-course menu was the Hazelnut Dacquoise, Manjari Chocolate Florentine and Fresh Raspberry dessert, a pristine finisher that imparted an unforgettable taste upon the tongue. The Hazelnut Dacquoise, Manjari Chocolate Florentine and Fresh Raspberry dessert was a cherished treat! 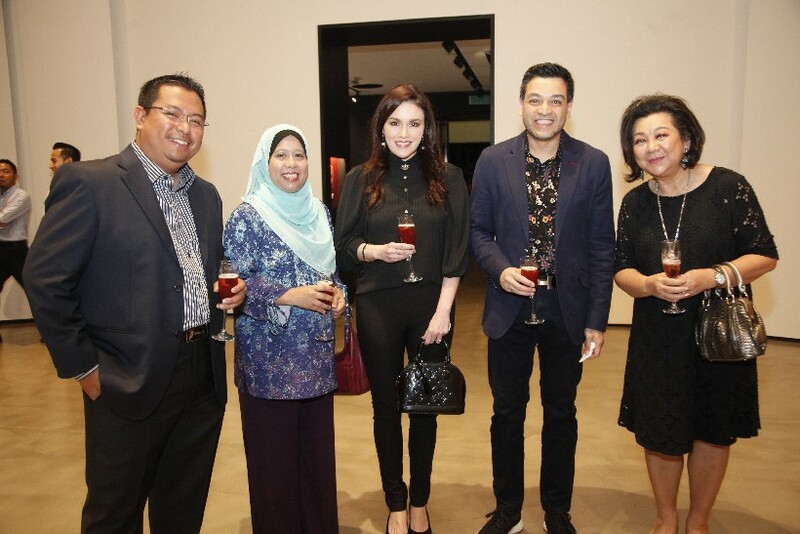 With the after-dinner mood abuzz, Dato’ Steve brought to the dining table Chefs Najib and Aiman as well as the entire Jibby East crew, and rained them with kudos for the wonderful evening, saying that the dining group has undoubtedly been spoiled. 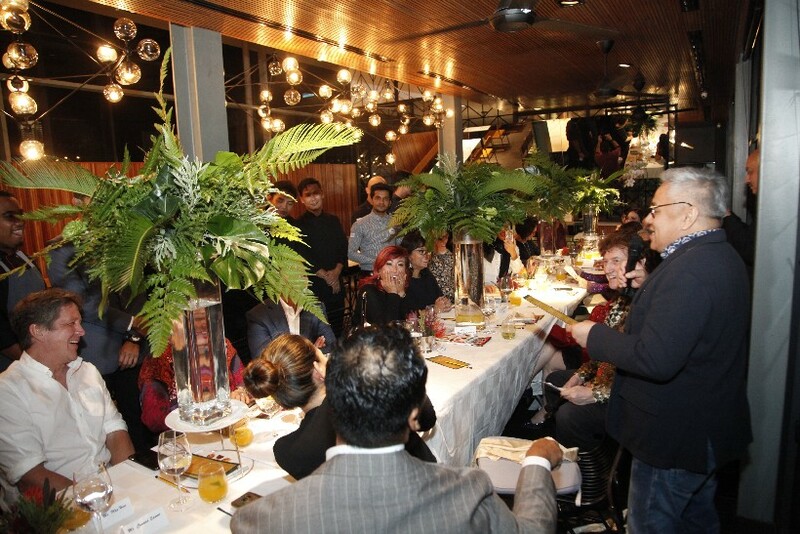 The vastly experienced Chef Wan was then asked to be the voice of the guests. Applauding every dish he tried, he ticked off the amazing attributes of each one and congratulated the chefs as well as the staff for hitting every nail on the head. Concluding the evening, Dato’ Steve subsequently said that it has been a pleasant surprise for the uninitiated guests to have made the journey to Jibby East and enjoy a dinner of such standard. 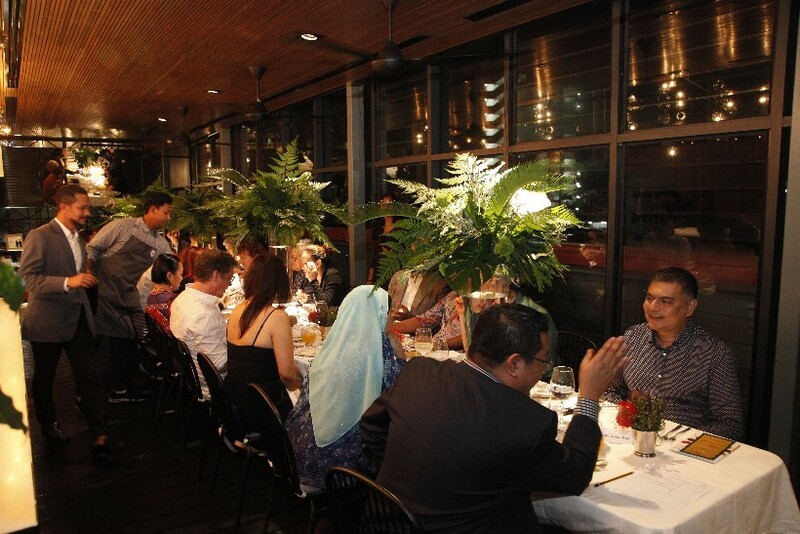 The Full Festival Menu at Jibby East costs RM230+ per person without wine. 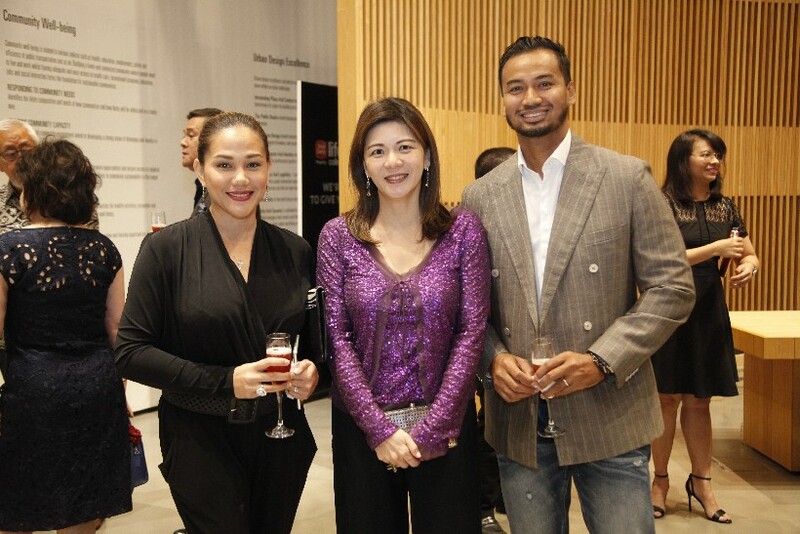 Click here to read more about the restaurant, Chefs Najib and Aiman, and the Festival menu.